Why Should You Go Culture POS? 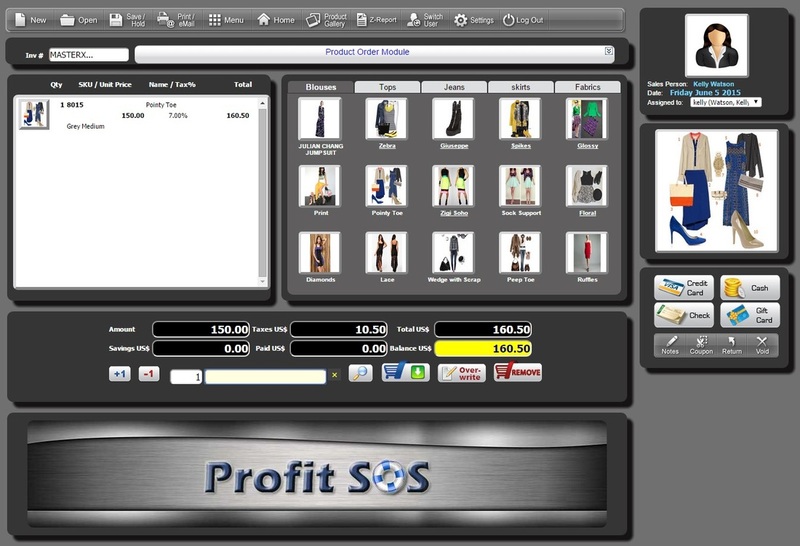 Culture POS is a fully manageable Sales Operating System with an integrated point of sale system designed with the purpose to help increase any business's sales ability. The design is built around the idea that sales don't just come in the door, they have to be driven from the bottom up. Gearing a team into sales mode is not easy. Large corporations spend millions of dollars on training, exciting and then retraining their employees again, on how to best sell their product. 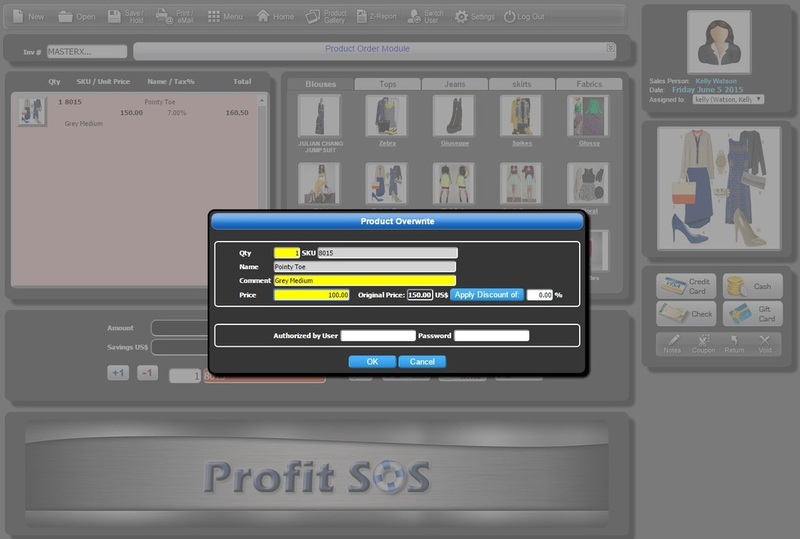 Profit Point of Sale offers just the solution, from customer purchase behavior tracking, customer specific promotions, cross selling, discounting, up-selling and more, its all in Profit SOS. Ahead of the curve...The mobile revolution is moving at lighting speed. The majority of companies are struggling to keep up with the changes required to be competitive and satisfy today's customer's demands. Many are finding their old ways of doing business to be lagging and restraining their business from advancing. They are not geared towards modernization or just don't want or are not able to spend the money required to upgrade. Profit POS was formed with just that in mind. No expensive equipment, a minimal out of pocket investment can put you back into the driver's seat. Use your existing PC, laptop, tablet, or smartphone and manage your business in detail from across the world as if you were in your office. The SOS is extremely customizable and adaptable to many industries. Above you will find a few of the industries the system was built for.Unlike many other systems in the market the POS is geared towards increasing your sales from the bottom up. That means pushing your employees to sell from within rather than pushing from above. This unique approach has proven to increase productivity by as much as twenty five to thirty percent resulting in similar sales increases. The cashier menu is a simplified functionality, with seventy five hot buttons with customized drop down options. You can access thousands of products with just one click. Culture POS takes the cashier menu to a new level, by giving you the ability to accept coupons, gift cards, loyalty/Rewards, Discounting etc. Easily change prices on the fly! You have the ability to not only increase of decrease an items price, but you also have the ability to implement permission levels for price changes limiting the feature to specific employees. As well as Implement receipt messages tot he client such as "Final Sale" or "No Returns" on the specific product. You can even apply price overwriting either through percentage discount or a dollar amount. Culture POS inventory management is the active control program which allows the management of purchases, sales and payments. It helps to create invoices, adjust inventory quantity etc. An inventory management software system configured to your warehouse, retail or product line will help to create revenue for your company. The Inventory Management will control operating costs and provide better understanding. We are your source for inventory management information, inventory management software and tools. Keep track of your employees time, sales, and activity inside the POS System. Your employees are able to not only login on the main screen, but also clock into the system. You are able to export their time sheet and use the system to complete payroll. Keep track of the sales completed by your employees and manage commission. Access hundreds of reports that track your sales, employees, inventory, etc. Customize the reports and export from the system. ﻿ When cashing out your customers you can do so by cash, credit/debit, check, or store credit. the system never limits you! take as many different payments as you would like in one transaction. Partial Payments are also accepted inside of the system. 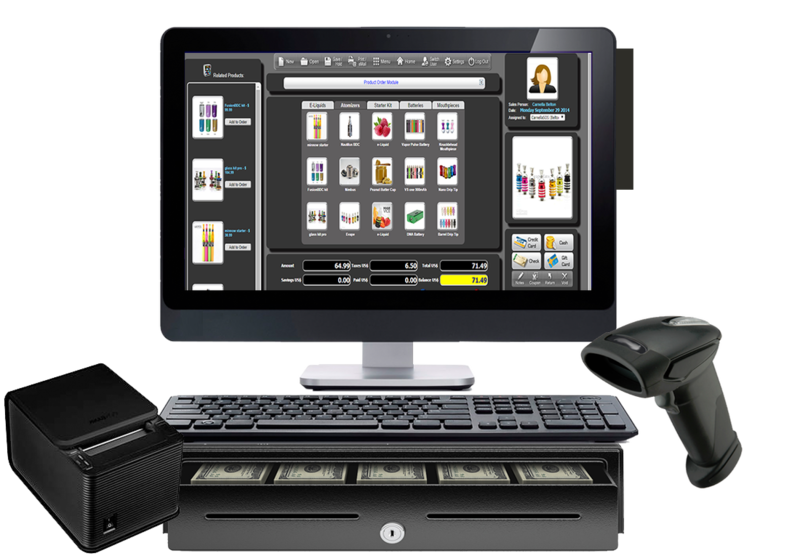 "Integrate your credit card processing, inventory management, employee management all in one low-cost solution!"